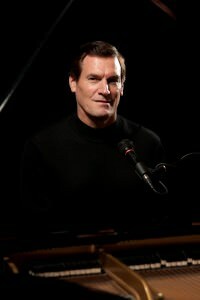 Craig S Wilson is a serial creative, who has written 300 songs, three musicals, and three books. He published Dating for Life in 2013, a book describing the four keys to maintaining successful relationships. He is also the author of Gig, a historical fiction that explores the wonderment of teenage romance during the exploding music scene of the 60’s. The LUCAS ROCHA Thriller Series was inspired by a true story when Craig was sent on a business trip to Brazil. The first person Craig ran into was a scraggly street kid who tossed dust on his shoes, then asked him in pidgin English if he wanted his shoes shined. Craig humored him, but when the kid was done, he asked for a tip that was twenty times the going rate. Craig haggled until agreeing to give the kid five dollars. As soon as Craig pulled out his money clip, the kid snatched it and ran like the wind. Luckily, Craig was a runner too and chased him into the favelas until the kid threw the money clip into the air and pushed an elderly woman into his path. Craig helped the woman up and was surprised when she scolded him. “Never give money to these street rats. You make the problem worse,” she said. He never forgot that moment. It inspired him to write about the tens of thousands of kids trying to survive on the streets of Rio. 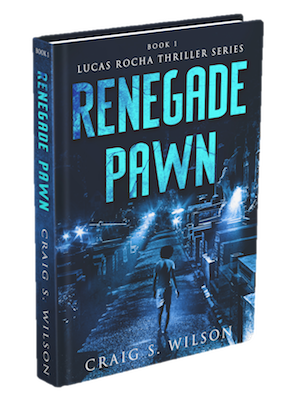 Renegade Pawn is the first book in the LUCAS ROCHA Thriller Series. Craig’s mantra is “live life in crescendo,” and he is passionate about almost anything that he does. Through his personal journey in finding the love and partner of his life, Melissa G. Wilson, he continues to pursue his dreams of creating beauty in the world and changing people’s lives through his stories.